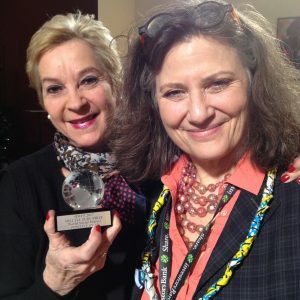 Congratulations to Andi Reiss and Joan Shenton for winning the Special Jury Award for World Societal Impact at this year’s Queens World Film Festival. Picture of the received trophy hopefully to follow shortly. Two further screenings following the QWFF screening also went without hitch despite expected protestation.